Ready to up your golf game? Hudl Technique Golf, formerly Ubersense Golf, allows you to evaluate and improve your swing like never before. Record yourself in slow motion, then instantly analyze your form – frame by frame. 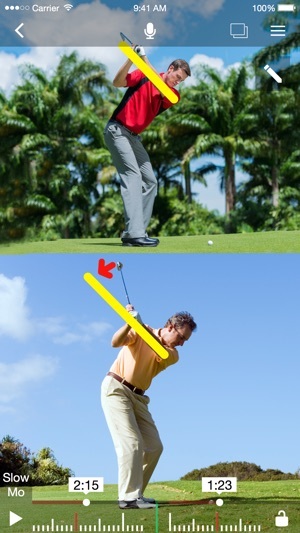 You can also spot potential improvements by comparing your swing to professional golfers’, study drills from other coaches, and receive feedback from Hudl Technique community members. 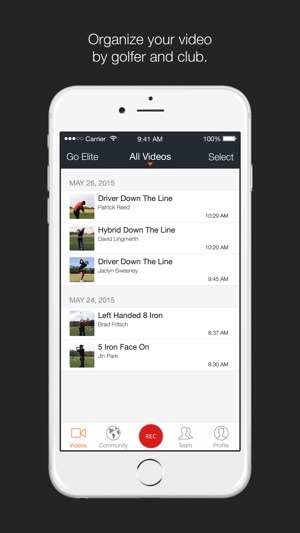 Hudl Technique Golf has been used to analyze more than 10 million swings worldwide. * Record swings in HD up to 240 FPS (if supported by device). * Analyze in slow motion with swing plane drawings. * Compare your swing against 90+ swings from PGA golfers like Patrick Reed, Jeff Overton and more (driver, irons and wedge Face-on and DTL). * Create swing reviews with voice-overs, annotations and side-by-side video. * Watch golf lessons from PGA instructors. 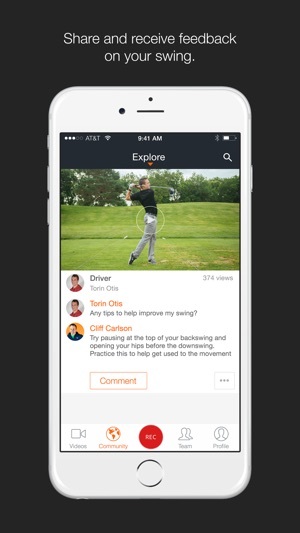 * Share your swings with friends and instructors via email, YouTube, Twitter, Dropbox, Facebook and more. * Import and analyze existing swings from external camera or import via email, Dropbox and more. 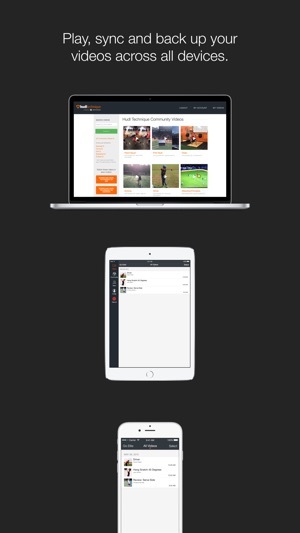 ▶ “[Hudl Technique] is an awesome swing analysis app. Even compare your swings to mine! You need to get this app." -- Jeff Overton, PGA Tour player and member of 2010 Ryder Cup team. 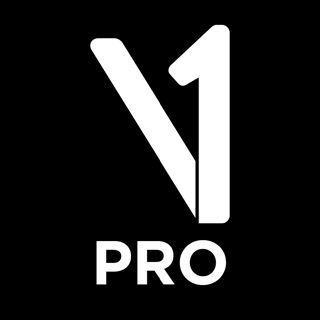 ▶ "Great app it is crazy what you can do with this. 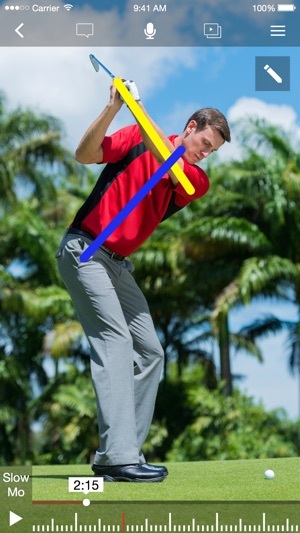 This will let you check everything about your swing" — J Olds, iTunes US Review. ▶ "A PGA member must have… Perfect for the 30/60 min lesson…" — Shears23, iTunes Australia Review. ▶ "Would have paid $20 for this!!!" — Jake Thomas Weber, iTunes US Review. This is my go to app for my golf swing! One time fees to save lines etc would be nice as I don't need the video backup option. I used to give this app 5 stars but I've been making one request for years now and it's just been ignored. Update this one thing, which I'm sure everyone will love and really appreciate once you explain its benefits, and I'll give the five stars back. FEATURE REQUEST: Please give us the ability to move all the lines together, separate from the background video, for those shakey hands while recording. Especially for golf; the ball is in a fixed location for almost the entire video but unfortunately people's hands aren't. PLEASE PLEASE PLEASE give us the option to move ALL the lines AT ONCE, TOGETHER! I typically start but setting up all my lines, including the location of the golf ball by making a simple X through it with two lines. Sure enough I start the slider and the camera man moves just slightly. If we could move all the lines at once we could align them back with the golf ball. This really can't be that hard to add, maybe just a lock button on the lines and then they move together. I'm sure there's going to be some problems with the video boundary as for some reason you also still don't let us draw in the black areaa of the video but I'm sure your expert team can figure it out. Thanks! Nice features for a free app. You can learn 100 times more about your own golf swing by seeng it in slow motion than just trying to feel what you are doing. Now I have to find a tripod for my iPad. Won't go to the driving range again without it. The funny thing is that you see other people's swings and can spot swing flaws that need to be fixed, but you think yours is fine . . . Until you see it in slow motion. Thanks guys, nice app.